Andrew Lincoln’s penultimate episode as the leading man of The Walking Dead drew battle lines new and old across the former Virginia. 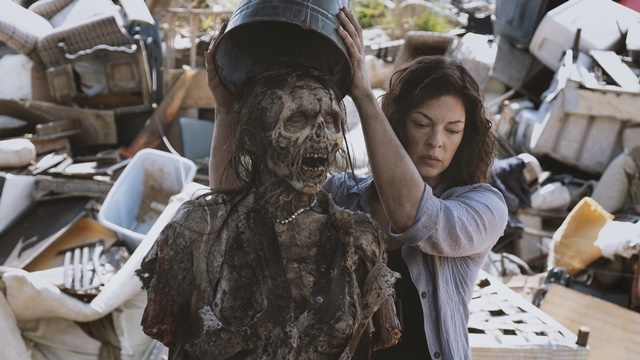 These recent struggles, however, didn’t prohibit the show from taking a walk down memory lane against the backdrop of Maggie’s plans for Negan. Rick’s bridge project isn’t faring too well after the Saviors abandoned its construction. 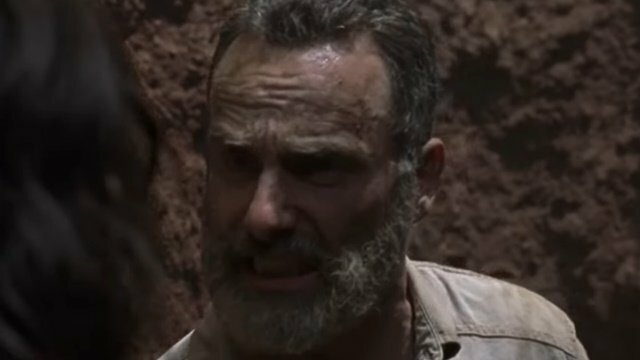 Making matters worse, Rick is informed by Jerry, that Maggie is on her way to Alexandria to take out Negan. Daryl takes notice as Rick prepares to head back, offering him a ride on his bike. 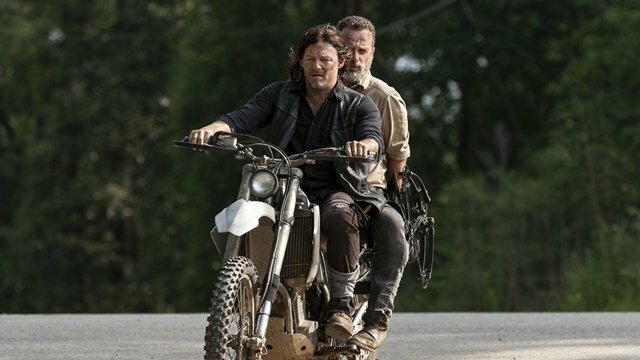 Rick quickly determines Daryl’s true motive when he speeds past the turn to Alexandria. The two fight, rolling into a sinkhole. The two get to talking about both the past and present while trying to find an exit. Oceanside’s guilt as the Saviors’ killers is exposed as they go back and forth about Negan’s fate. Daryl reminds Rick that he wouldn’t be alive if not for Glenn. Rick counters by pointing out that Daryl chose to spare Dwight. 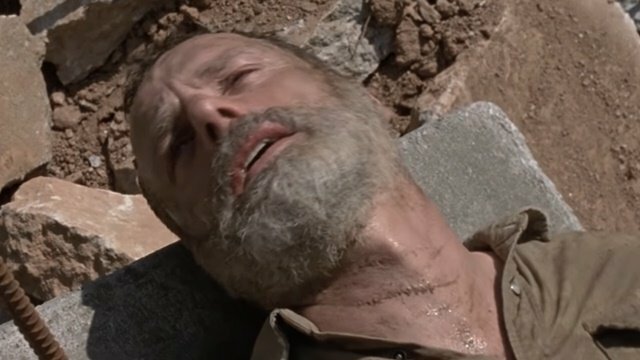 Rick believes that Negan’s death would devalue Carl’s death. Daryl says he’d die for Rick or Carl, but he believes Rick is chasing something that isn’t meant to be. Michonne is having trouble sleeping, choosing instead to go out walker hunting night after night. The unsettled soul finds little rest as she runs Alexandria in Rick’s absence. She is informed that Negan is refusing to eat and takes the issue upon herself to handle. Negan uses the opportunity to get into Michonne’s head, comparing his entrapped status to her’s. He manipulates Michonne to talk about her first son, Andre, by speaking of his wife’s death. Negan says their lost loved ones would have made them weak in today’s world. Michonne storms out in disgust, returning later to point out their differences. She’s making the world better for the future. Negan eats, but asks to see Lucille. 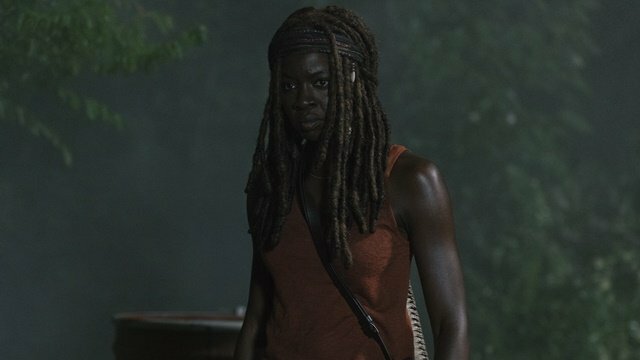 Michonne reveals that his beloved is still out there. The news causes Negan to slam his head into the wall of his cell. Anne, or Jadis, continues to be an enigma as she threatens a bound Gabriel with a guided walker. She claims that he is her ticket out, alluding to the person in the helicopter. Gabriel blames himself as the walker’s teeth move closer, forgiving her for her actions due to his failings to help her. The words cut through Anne’s metaphorical wall and she pulls the walker back. Instead, she chooses to knock him out with a chemical rag. Gabriel awakens in a shipping crate alone. He emerges into the junkyard and finds a note in his jacket pocket. Anne is gone, choosing to travel fast alone rather than far together. A weeping Gabriel is left to mourn among the scrap metal. Daryl and Rick’s war of words is cut short when gunshots ring out from the base camp. The Saviors, led by Jed, have returned for vengeance against the Oceanside denizens. The gunshots pull the herd toward the camp, with some falling into the sinkhole. Rick and Daryl use a combination of walker bodies and tree roots to escape, with Rick pulling Daryl to safety. The moment of hope is fleeting as the herd approaches. Rick takes it upon himself to lead the herd away, thought not to the river as Daryl suggests. He just can’t give up that bridge. Rick instead leads them away from the base camp. Unfortunately, he leads the herd directly into the path of another herd near an abandoned construction site. Rick’s horse is spooked, bucking him off. The accident leaves Rick impaled on a piece of rebar as hundreds of walkers close in from multiple sides. What did you think about The Walking Dead season 9 episode 4? Let us know in the comment section before!